White signed a reserve/future contract with the Steelers on Thursday, Dale Lolley of DKPittsburghSports.com reports. Analysis: White spent time with the Seahawks and Bengals last offseason as an undrafted free agent out of West Virginia, but he did not stick with any team during the 2018 regular season. He'll now look to stand out on the Steelers' 90-man roster and work to eventually make his NFL debut. 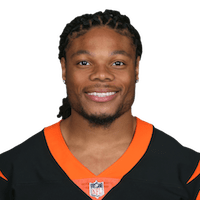 There are no videos available for Ka'Raun White. Click here to view all videos.